Hand-picked teas from across the world sold exclusively via email.  Sign-up free to discover unique teas in your inbox. 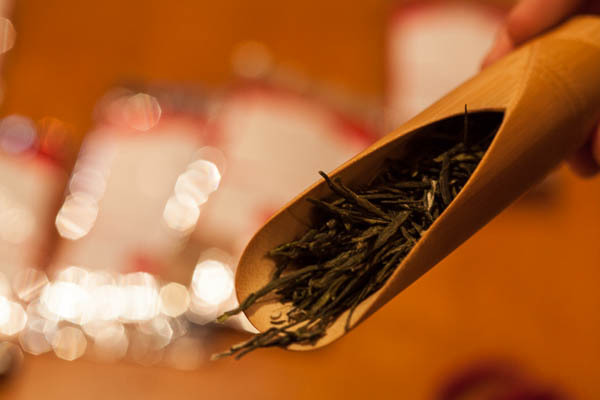 Hisabo invites you to discover exclusive loose leaf teas from around the world. We travel the world to find small producers of exquisite quality and character and connect you with their stories, a new one every week. We sell limited quantities available for purchase via email for invited members. You'll learn about our individual producers and the unique qualities of their tea.  We are currently in limited preview—for an invitation, sign up for our mailing list.  We connect you directly with the tea garden that grows the tea, bringing you their stories, their vision, and their methods. We scour the world to find the finest teas of each country and region. No village is too remote. Want to find tea picked by specially trained monkeys? Or tea grown at the base of Mount Fuji? At Hisabo, we give you teas no one else can. We link you to the centuries old tradition of each tea, explaining how it is brewed and how best to enjoy each tea variety. 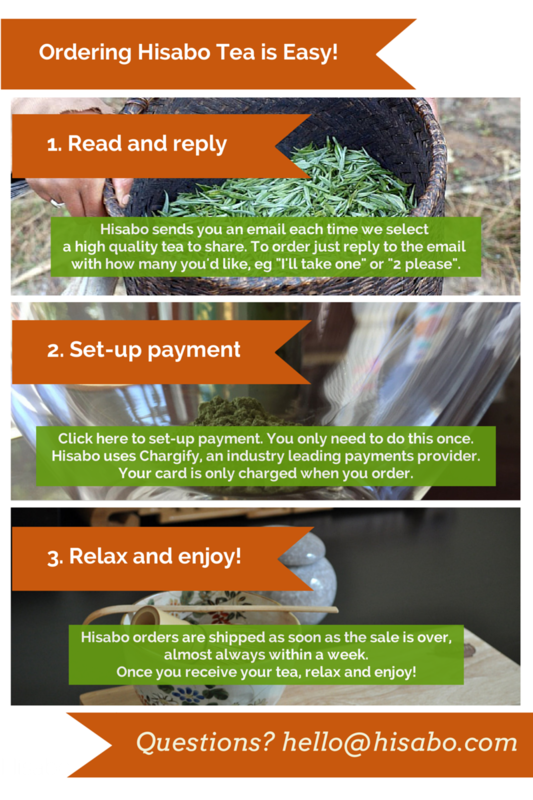 Hisabo is easy: when you receive an email in your inbox, just reply to buy. However, we've created a step-by-step below to explain more. Hisabo takes your payment information only once. Afterwards, all you do to buy is reply. If you'd like to access your account, please sign in here. An experimental roasted black from a 17th century family farm. A new product from an winning tea farm not available anywhere else. From the mountainous regions outside Kathmandu, this green tea provides a more subtle grass flavor than found in Japanese Teas. The late arrival of tea to Nepal has made a thriving industry of small farms. We've found one of the best. Premium Teas. Direct from the Farm. Team Hisabo searches around the world to find farmers who care about quality and who grow tea the right way. This usually means organic teas that are grown in limited quantities by small farmers and their families, often for generations.  Too many teashops provide you with an overwhelming selection of teas, with too little information on them. 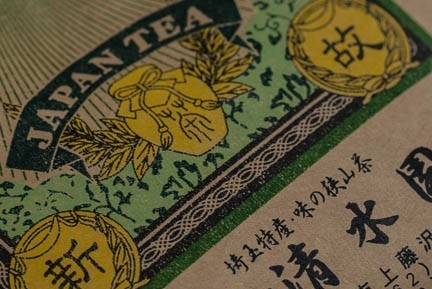 For us, we feel good knowing the story of the tea maker and hearing about their passion. We share this passion, along with tips for brewing, in each Hisabo email. If you like what you see and want some, just reply. It really is us on the other end. If you have a question, that's OK too. We want to make learning about and buying great tea as painless as possible. At Hisabo, you are always satisfied. We ship your teas directly after the sale ends, so that they're the freshest they can be. If you're not 100% satisfied, we'll refund you. No questions asked.